Join us for two collective actions inspired by civic resistance. Working with artist and activist Hannah Davey (Liberate Tate & Greenpeace), we will introduce the power and dynamics of group movement through space. 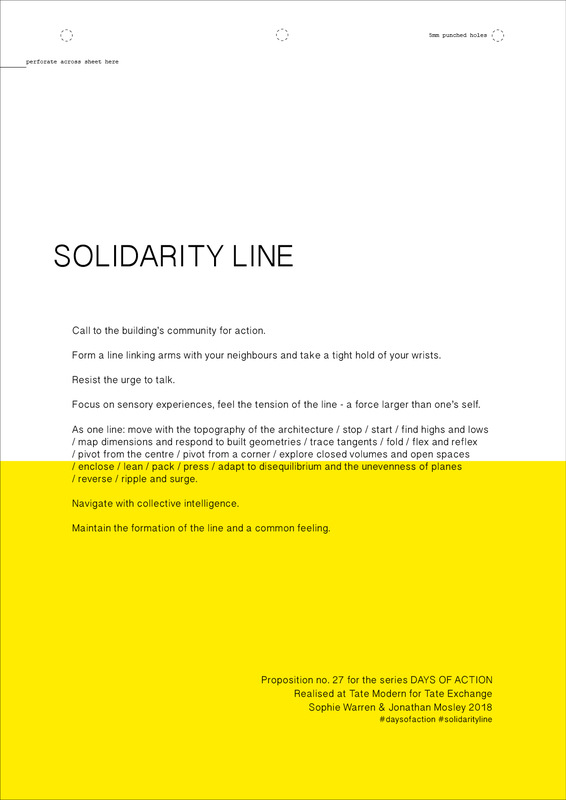 The first action, ‘Solidarity Line’ (see below) is a playful and cooperative experience that uses everyday movement to explore the architecture of Tate Modern. The second action, ‘What is the Building Calling For?’ addresses the building using the People’s Microphone, a technique of amplifying a speaker’s voice by repeating the words with other voices at the limit of earshot. This is followed by an open conversation.